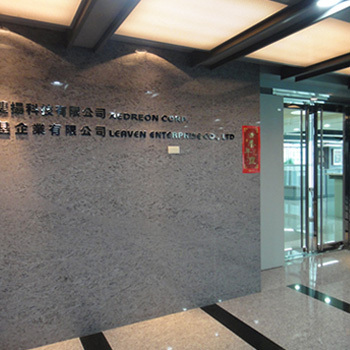 Welcome To Leaven Enterprise Co., Ltd.
LEAVEN ENTERPRISE CO., LTD. was established in Taipei, Taiwan on September 15, 1984. Our factory locates in Taoyuan County, Taiwan near the Taoyuan International Airport. The well-experienced and high working enthusiasm employees do assembling and quality control in our factory to ensure the product quality. All our products are with CE, EMC, GS, UL, PSE, SAA approvals and of RoHS compliant. Our R&D Dept. continually designs new products for our existing customers and new clients. Today, we are one of the leading manufacturers and exporters of environmental-safe rodent and insect eliminators in Taiwan. Our products are exported to USA, EU, Japan, East Europe countries, African countries,...etc. We ensure our customers of good quality and practical products as well as efficient services. Leaven Enterprise Co., Ltd. is a high quality electric Pest Control Device Manufacturer in Taiwan, providing Pest Repeller with good quality and competitive price. We have been producing Animal Repellers, Bird Repeller, Mole Repeller(Mole Chaser) and Mosquito Repeller for almost 30 years, superior quality is guaranteed. In addition to Pest Control Device, we also supply Compact Mini Alarm and Air Purifier. If you're looking for superior manufacturer and supplier of Pest Control Product, Leaven is your only sensible choice.